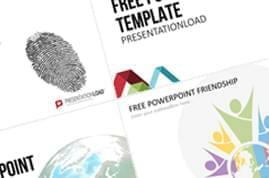 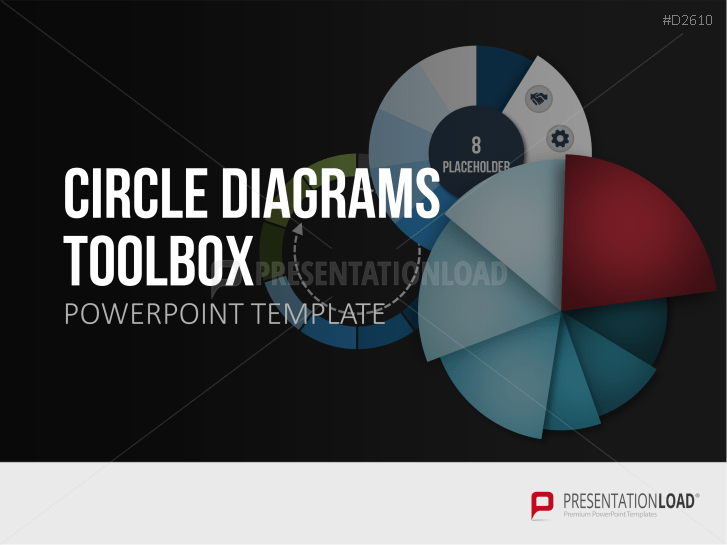 This collection includes pie charts, gear diagrams, radial diagrams, donut charts, Venn diagrams, and more. 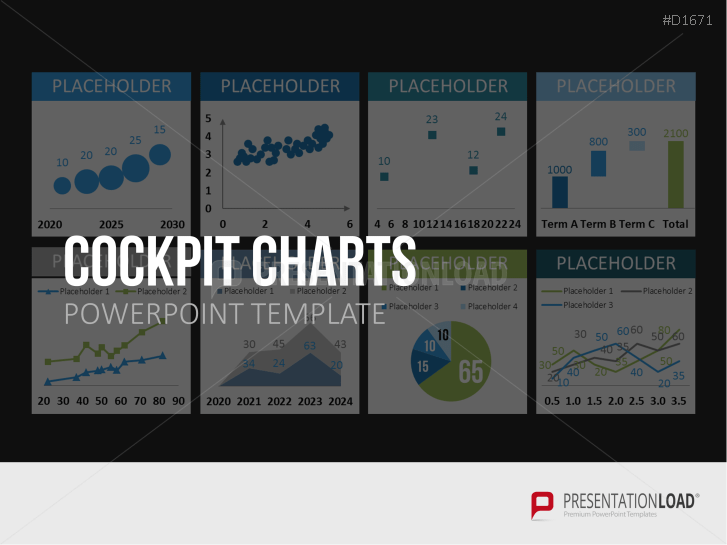 These multi-purpose graphics are excellent for presenting an overview of proportions, quantities, and process flows. 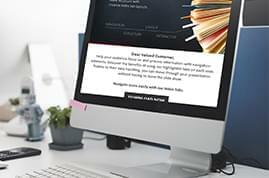 Whether you want to present quarterly figures, implement new team structures, or illustrate processes – the options are endless. 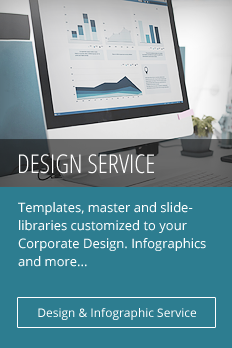 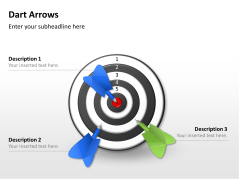 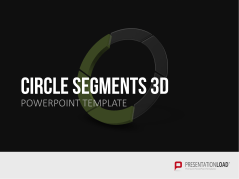 Templates designed in 3D circle segments to perfectly illustrate workflow or project steps. 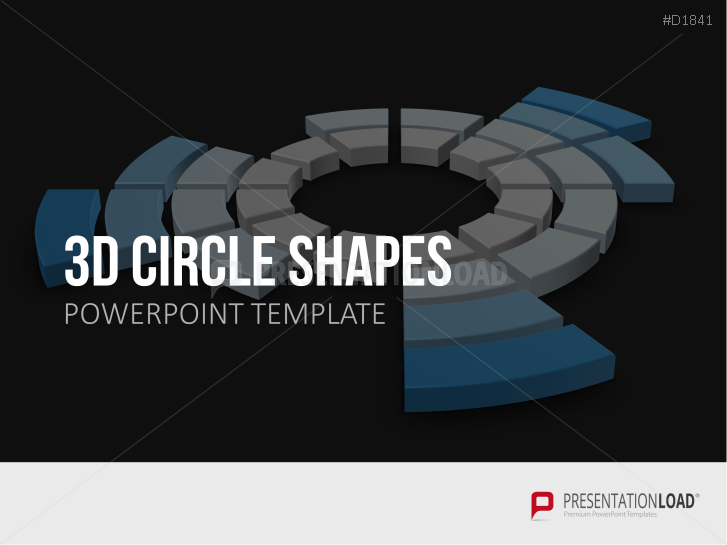 Present contiguous sequences & repetitive elements using circles (layered, interlaced & with different segments). 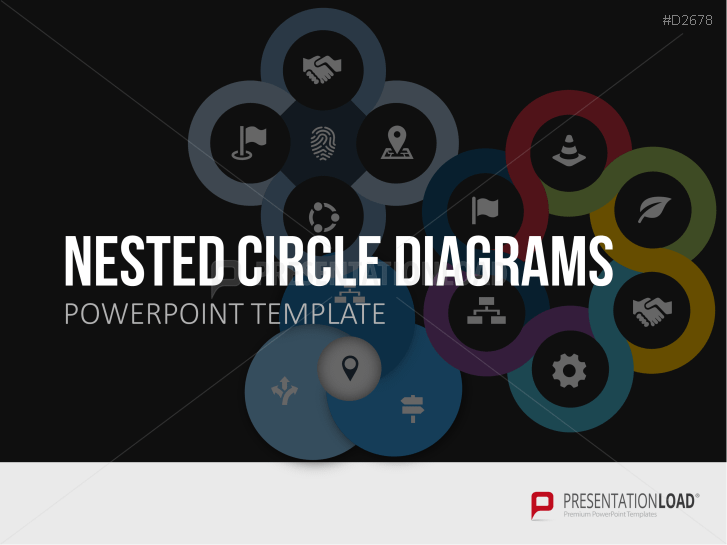 Diversely designed nested circle-diagrams: suitable to show a company's organizational structures and processes. 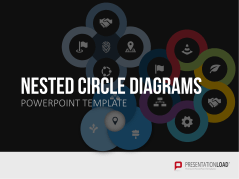 Circular diagrams visualize relations and connections; show project flow, product features, corporate structures etc. 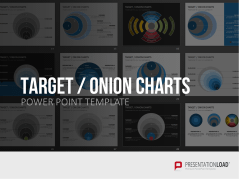 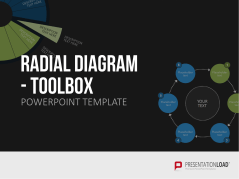 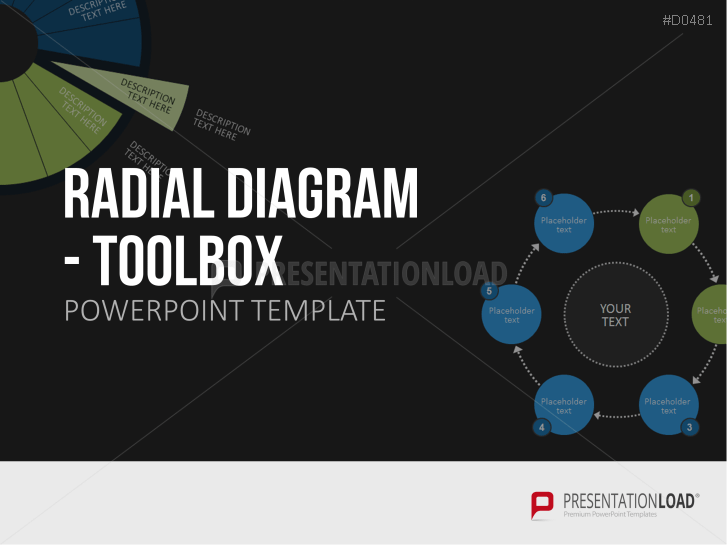 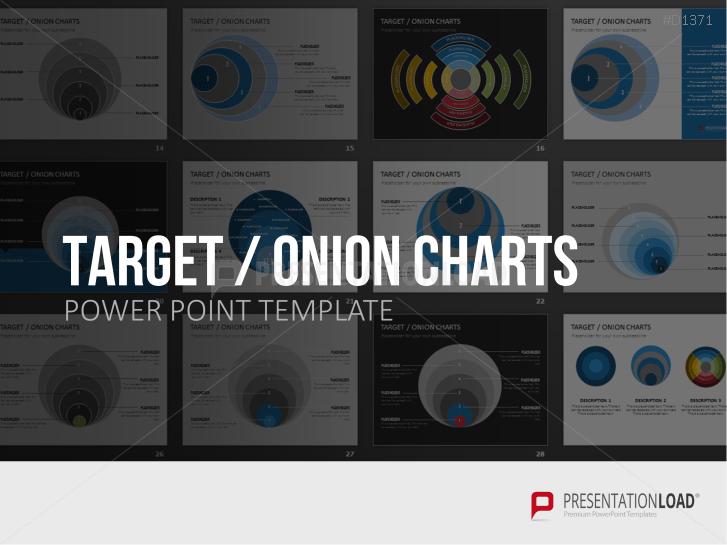 Various compositions of radial diagrams for business presentations. 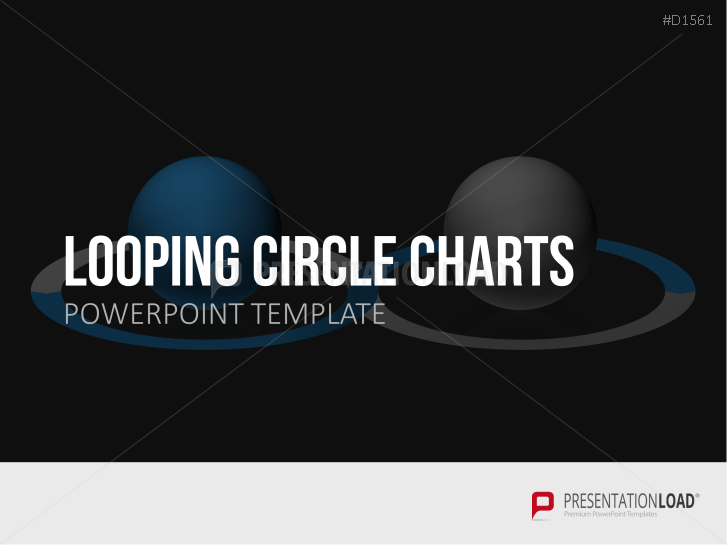 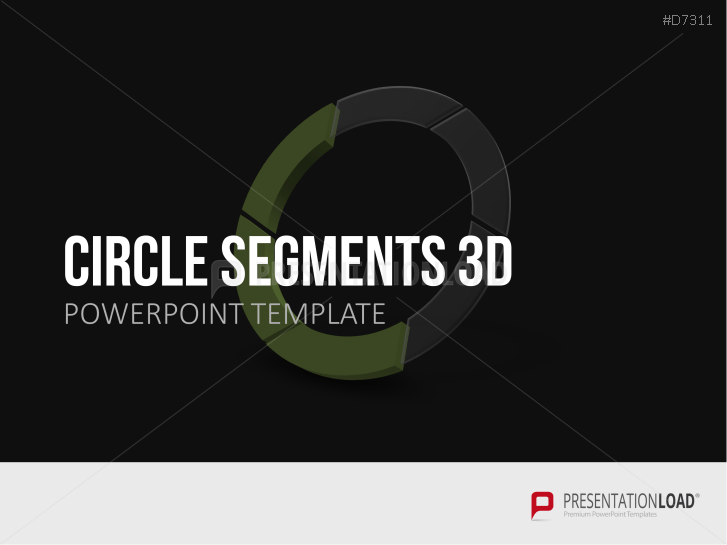 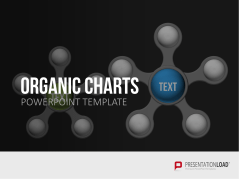 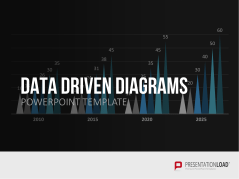 A template with ring, circle and many other charts in diverse design variants for presenting facts and figures. 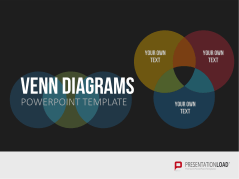 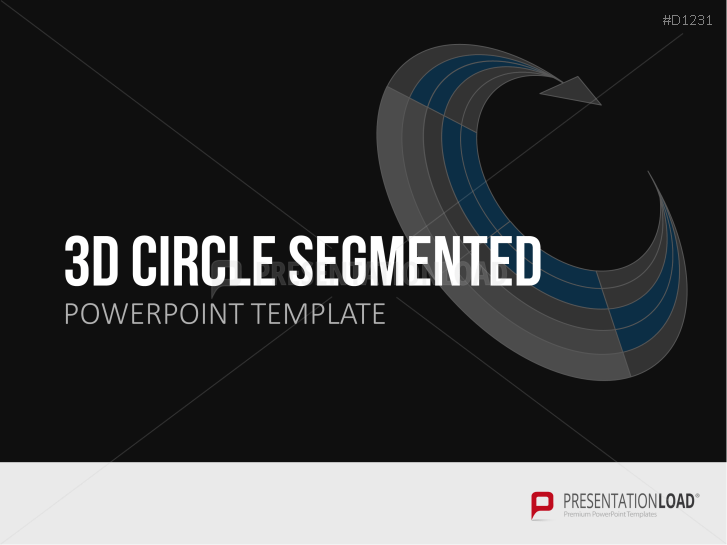 Use circular segments to show layers and depth of chosen topics or projects. 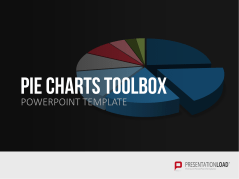 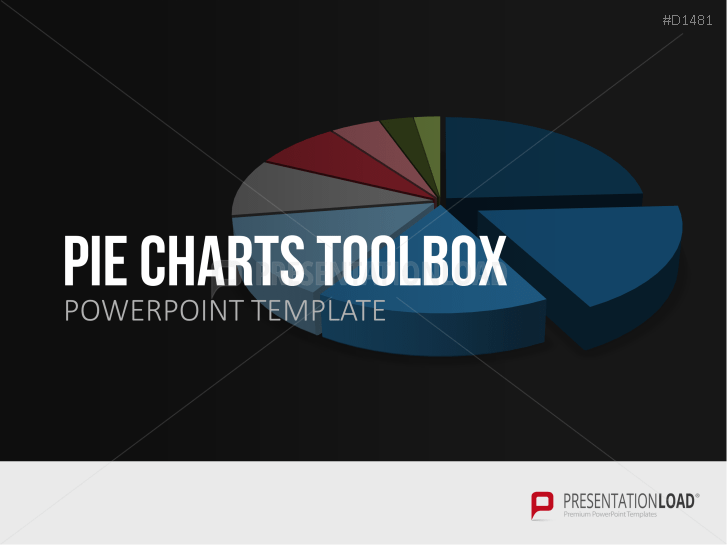 Pie charts with all different sizes of segments with text holders for data or descriptions. 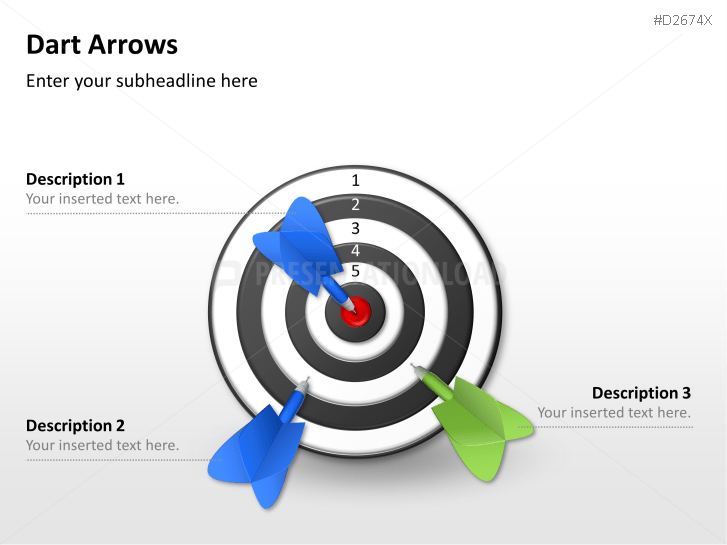 Present contrasting views / juxtapositions or overlapping subjects in a coherent manner using central spheres. 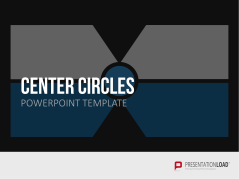 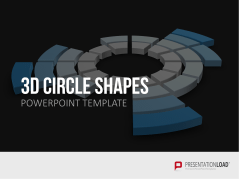 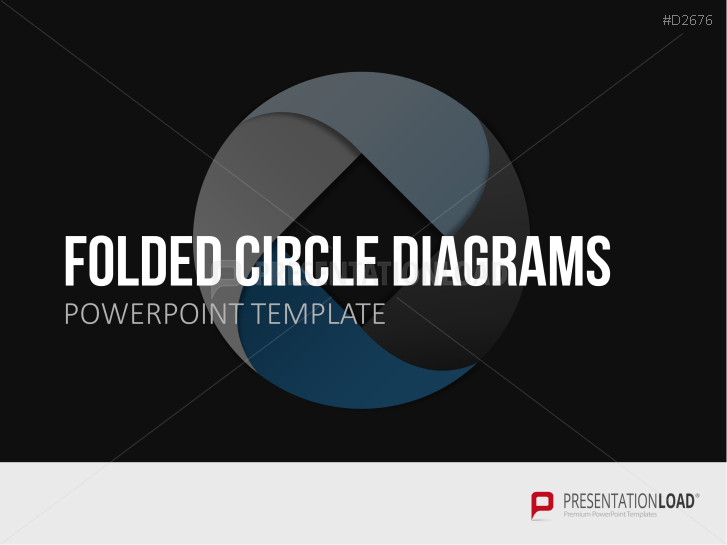 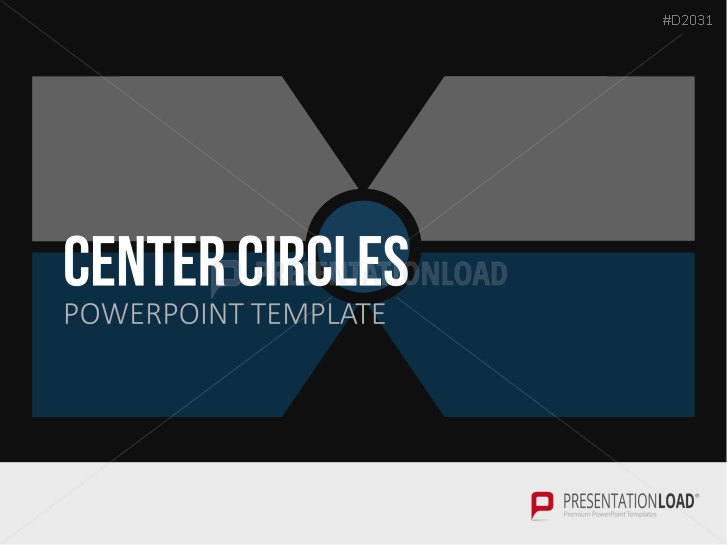 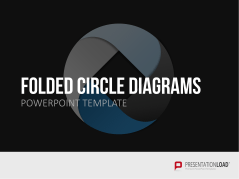 Use folded circle templates designed to illustrate connections, processes, project steps and more. Illustrate chronological episodes, relationships or processes with designed circles segments. 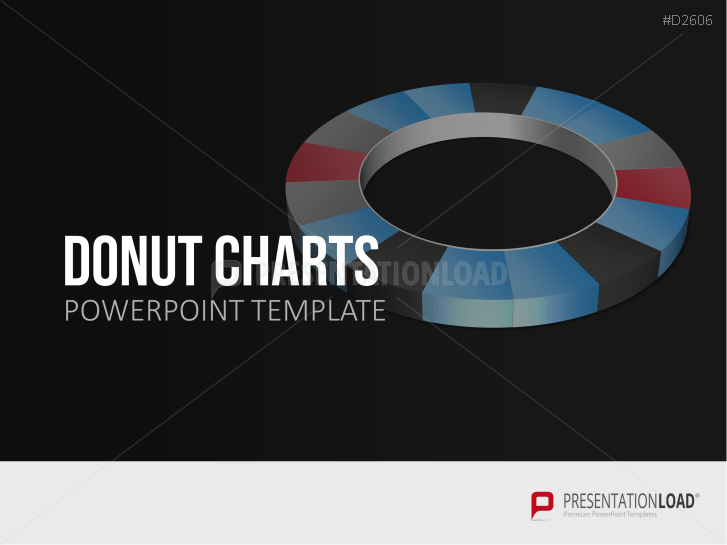 Set of diversified donut charts to display percentage distributions. 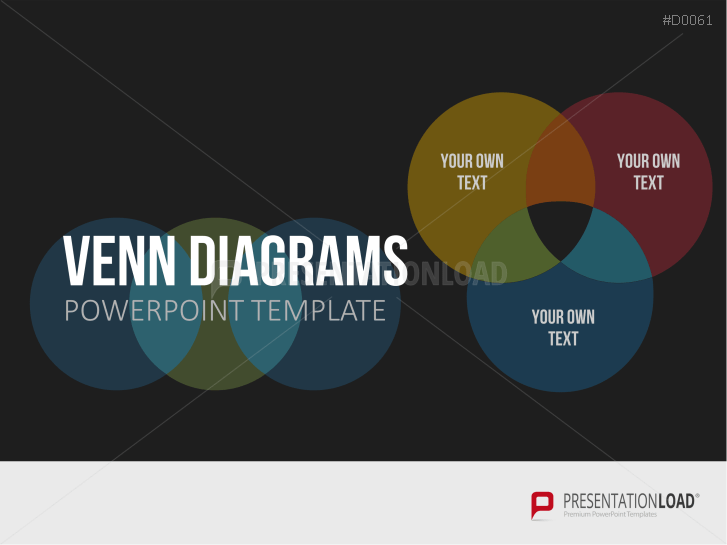 Show the relationship between various items using basic to complex Venn diagrams. 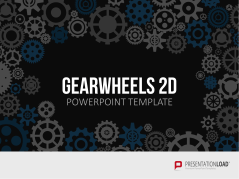 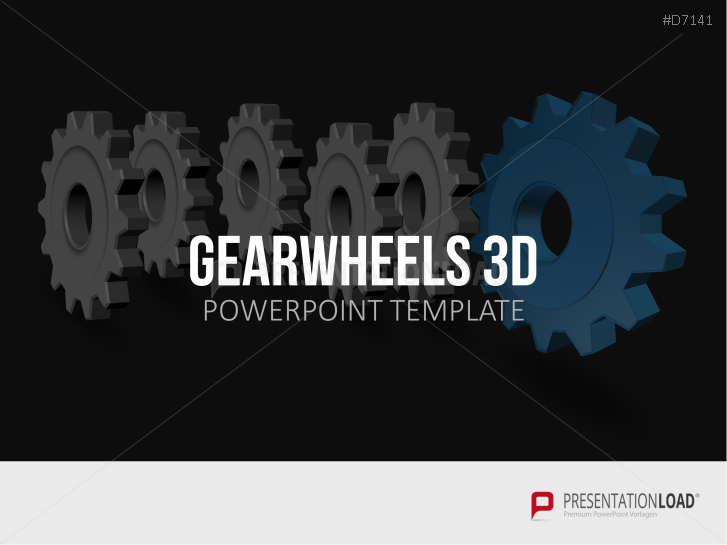 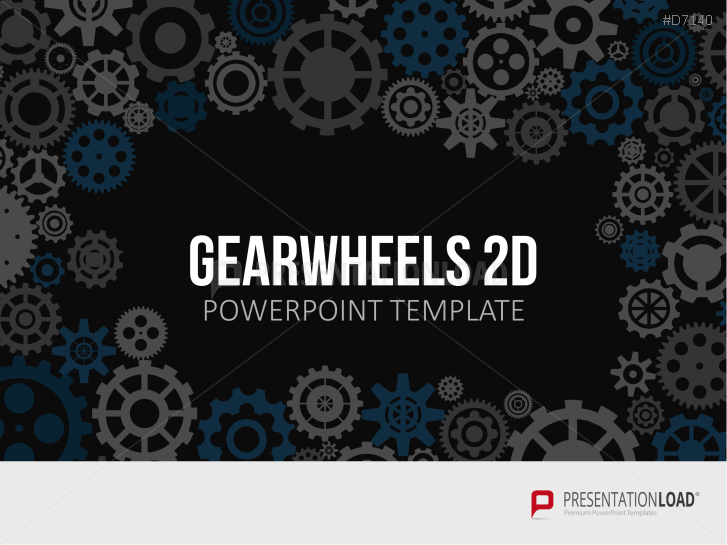 Various graphics and charts in a gear wheel design. 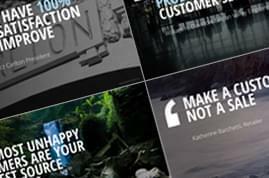 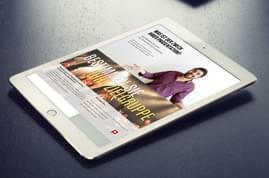 Highlight business production processes with various segments of loop circles. 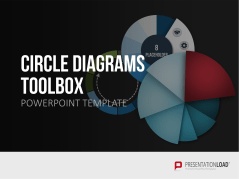 Collection of bar, coulumn, area, circle and flow charts and many more linked to Excel. 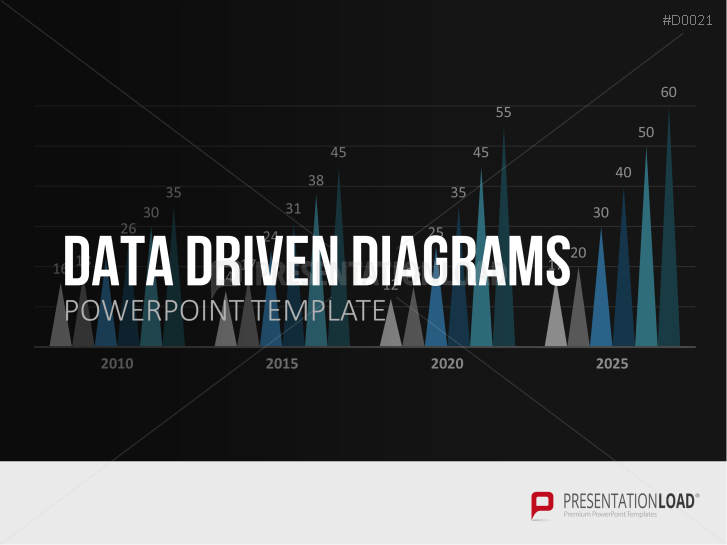 The set includes many graphics, charts and illustrations to visualize relations and connections. 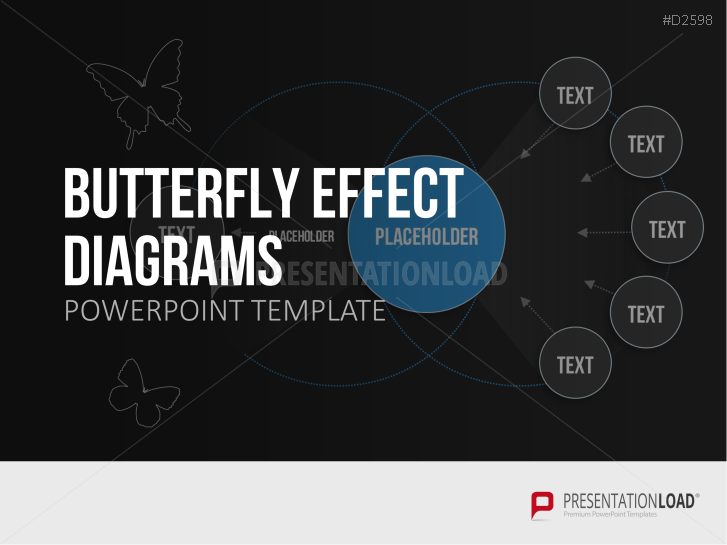 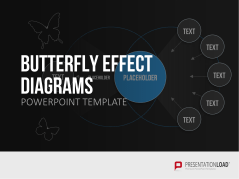 Butterfly diagrams are specifically designed to elegantly show interrelationships. 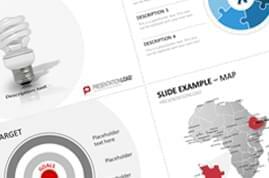 Present data in a clear and compact form with the help of metrics (KPI cockpit / IT dashboard / scorecard).